2 1. Photograph, collect pictures of or sketch fifteen edible wild plants. Identify each plant in the wild. 3 2. Identify in the wild five trees and five shrubs which are edible. 4 3. Identify, prepare, and eat three kinds of wild berries or fruits, three kinds of beverages, three salad plants, three potherbs (greens), and two tubers or roots. 6 5. Demonstrate how to prepare four parts of the common milkweed or day lily for food. 7 6. Explain how to identify three "odd-shaped" edible fungi and how to identify the deadly mushroom amanitas. 8 7. What root plant can be dried and ground into meal? 9 8. Know at least 8 families embracing the poisonous or doubtful plants. 10 9. What is the cardinal edibility rule? The Edible Wild Plants Honor is a component of the Wilderness Master Award . There are at least three approaches to finding edible wild plants in your area. The first is to look through a list of edible wild plants that should be available in your area, and then go out and try to find some of them. The second approach is to go out and identify what plants are around you, determine their identity, and then find out if they are edible by looking them up in a good field guide (not by tasting them!). The third approach is to take a class, with field trips, on the subject. Having friends interested in it is helpful too. You tend to build on what each one finds out. By attempting to identify the plants I had found rather than trying to find the plants I had identified, I found many, many more edible plants in a much shorter time (and several inedible and poisonous plants as well). It has made me a better Pathfinder. If you opt to use the second approach, I urge you to review the requirements for the Flowers, Flowers - Advanced, Seeds, and Seeds - Advanced honors as well. You can meet many requirements of all these honors at the same time. Also in some plants one part is edible and another part is poisonous. A grocery store example of this is cherries. The fruit is very good, but the seeds contain cyanide which is deadly if you eat enough. The leaves are likewise poisonous and have been known to kill cattle. Just because one part of a plant is edible does not mean that the whole plant is good to eat, and just because a plant is listed as edible does not mean that it is not poisonous. Some plants are edible only in certain stages of growth. Some examples are: Bracken fern is not edible after the fiddle head stage. Nettles can cause kidney problems in some people if they are mature (seed growing on the stalk). Yucca stalk (Hesperoyucca whipplei ) gets too many bitter saponins to be palatable as it matures into a flower head. Be careful. Save the page, and then click on the red link you just made to create the new page (or let someone else do that - just knowing which plant to include is a great help). If you choose to add content to the new page, please use the EWP template to maintain uniformity. See the discussion page of the EWP template for its usage, or look at an existing page that uses it (which would be all of the ones below). Description: Virginia pepperweed's most identifiable characteristic are its racemes, which come from the plants highly branched stem. The racemes give Virginia pepperweed the appearance of a bottlebrush. On the racemes are first small white flowers, and later greenish seedpods. The entire plant is generally between 10 and 50 cm tall. The leaves on the stems of Virginia pepperweed are sessile, linear to lanceolate and get larger as they approach the base. Note that all parts of the plant have a peppery taste. Where found: Throughout the United States. Use: The leaves can be boiled for 10 minutes and used as greens. The seeds make a good substitute for pepper. Description: The calyx of the flower is a balloon-like structure shaped like a melon. The flowers are deeply cleft. Where found: Found in Canada, south to Missouri, east to Virginia. Grows in dry ground, along roadsides, etc. Use: Collect the leaves in early spring before the plant is more than a couple of inches high (5 cm). Boil them in water for 10 minutes and eat them as greens. Description: Evening primrose (Oenothera biennis) is a biennial (living for two years) flowering plant growing to 30–150 cm tall. The leaves are lanceolate, 5–20 cm long and 1–2.5 cm broad, produced in a tight rosette in the first year, and spirally on the stem in the second year. The flowers are pale yellow, 2.5–5 cm diameter, with four petals; they are produced on a tall spike from late spring to late summer. They open in the evening, hence the name "evening primrose", and close by the following noon. Where found: Throughout most of North America, excluding the desert southwest north to Idaho, and the far northern reaches of the continent. Use: The large tap root of the first-year plant can be cleaned, peeled and boiled as a vegetable. The roots can grow to the size of a large carrot. The first year plants are easiest to find by locating the second year plants first, and then searching the vicinity for the basal rosettes of the first year specimens. By the second year the roots are too tough to eat. Description: Pickerelweed is a genus of aquatic plants. They have large waxy leaves, succulent stems and a thick pad of fibrous roots. The roots give rise to rhizomes that allow rapid colonization by vegetative reproduction. Species are perennial, and produce a large spike of purple flowers in the summer. Where found: Pickerelweed is endemic to the Americas, distributed from Canada to Argentina, where it is found in partially submerged in shallow water or on mud. Use: The young leaves, if picked before they unfurl can be eaten raw in salads or boiled for ten minutes and served with butter as greens. The nut-like fruit can be gathered in late summer to early fall and roasted or eaten out of the hand like granola. 2. Identify in the wild five trees and five shrubs which are edible. Trees typically have a single trunk and grow taller than shrubs (which often have multiple trunks). Some species can be classified as either depending on growing conditions. Description: The Beech is a deciduous tree growing to 20-35 m tall, with smooth silvery-gray bark. The leaves are dark green, simple and sparsely-toothed with small teeth, 6-12 cm long (rarely 15 cm), with a short petiole. The winter twigs are distinctive among North American trees, being long and slender (15-20 mm by 2-3 mm) with two rows of overlapping scales on the buds. Where found: The American Beech is a species of beech native to eastern North America, from Nova Scotia west to southern Ontario in southeastern Canada, west to Wisconsin and south to eastern Texas and northern Florida in the United States. Use: The nuts can be eaten raw. Description: Sassafras is a small tree with brown, furrowed bark. The leaves come inthree shapes: an oval (one lobe); a mitten (two lobes); and a glove (three lobes). Where found: Eastern US, west to eastern Texas, north to Illinois, east to New Hampshire. Use: dig up the roots, peel them, and boil them to make a rootbeer-like tea. WARNING: Safrole, which is the main component (75-80%) of sassafras essential oil, is now recognized by the United States Department of Agriculture as a potential carcinogen. Description: Autumn olive is a small tree (or large shrub), growing 4-10 meters tall. The leaves are lanceolate, shiny green on the top with a silvery, powdery underside. The berries are about 6-7mm in diameter, bright red with speckles on them, growing in groups. They are very sweet. Where found: Native to eastern Asia from the Himalayas east to Japan. It was introduced to North America where it has become an invasive species. Use: When ripe, the fruit is juicy and edible. It can be eaten fresh or made into a jam. The fruit is small, extremely numerous, tart-tasting, and it has a chewable seed. It has been shown to have from 7 to 17 times the amount of the antioxidant lycopene that tomatoes have. Lycopene has been consistently shown to be useful in decreasing the risk of prostate cancer. Description: Blueberries are shrubs varying in size from 10 cm tall to 4 m tall; the smaller species are known as "lowbush blueberries", and the larger species as "highbush blueberries". The leaves can be either deciduous or evergreen, ovate to lanceolate, and from 1-8 cm long and 0.5-3.5 cm broad. The flowers are bell-shaped, white, pale pink or red, sometimes tinged greenish. The fruit is a berry 5-16 mm diameter with a flared "crown" at the end; they are pale greenish at first, then reddish-purple, and finally turn blue or dark purple on ripening. They have a sweet taste when mature, with variable acidity. Where found: Native to North America and eastern Asia. Use: Blueberries are used in jellies, jams, and pies, baked into muffins, and are an ingredient of many other snacks and delicacies. Description: Cranberries are creeping shrubs or vines that grow up to 2 meters long and from 5 to 20 cm. tall. They have slender stems, and small evergreen leaves. They have dark pink flowers with petals that leave the style and stamens exposed and pointing forward. Their fruit is a berry that is larger than the leaves of the plant. It is white when unripe, but is a deep red when it is fully ripe. Cranberries have a very acidic taste. Where found: Northeastern US, northern Europe and Asia, and southeastern Canada. Use: Cranberries are usually made into compotes or jellies, but are also baked into muffins, scones, or cakes, or other baked goods. They are considered too sour for eating unaccompanied. Description: The gooseberry is a straggling bush growing to 1-3 meters (3-10 feet) tall, the branches being thickly set with sharp spines, standing out singly or in diverging tufts of two or three from the bases of the short spurs or lateral leaf shoots. The bell-shaped flowers are produced, singly or in pairs, from the groups of rounded, deeply-crenated 3 or 5 lobed leaves. The fruit of wild gooseberries is smaller than in the cultivated varieties, but is often of good flavour; it is generally hairy, but in one variety smooth, constituting the R. uva-crispa of writers; berries' colour is usually green, but there are red variants and occasionally deep purple berries occur. Where found: The gooseberry is indigenous in Europe and western Asia, growing naturally in alpine thickets and rocky woods in the lower country, from France eastward, well into the Himalayas and peninsular India. It is a non-native species occurring throughout most of North America. Use: Gooseberries are best known for their use in desserts such as Gooseberry Fool and Gooseberry Crumble. In some countries, like Portugal, gooseberries are very appreciated as a beverage, being mostly used mixed with soda, water or even milk. They can be eaten raw, though many species should be cooked down to soften the spines. They are also commonly used in making jelly. Description: The rose is a common garden shrub, but it also grows wild in many places. The leaves of most species are 5–15 cm long, pinnate, with 3–13 leaflets and basal stipules; the leaflets usually have a serrated margin, and often a few small prickles on the underside of the stem. The vast majority of roses are deciduous, but a few (particularly in southeast Asia) are evergreen or nearly so. Where found: There are more than a hundred species of wild roses, all from the northern hemisphere and mostly from temperate regions. Use: The fruit of the rose bush (rose hips) are sometimes eaten, mainly for their vitamin C content. They are usually pressed and filtered to make rose-hip syrup, as the fine hairs surrounding the seeds are unpleasant to eat (resembling itching powder). They can also be used to make herbal tea, jam, jelly and marmalade. They are also used to make pies and bread. Where found: Native to eastern Asia but with three species in eastern North America. Use: The fruits of the spice bush can (as the name suggests) used as a spice. 3. Identify, prepare, and eat three kinds of wild berries or fruits, three kinds of beverages, three salad plants, three potherbs (greens), and two tubers or roots. See above on Apple cactus, Barberry, Barrel cactus, Blackberry, Bunch berry, Cascara, Cherry, Chokecherry, Cholla, Coffeeberry, Crab apple, Cranberry, Currant, Date palm, Desert apricot, Elderberry, Fan palm, Fire thorn, Gooseberry, Grape, Ground cherry, Hackberry, Hawthorne, Holly leaf Cherry, Indian plum, Lemonade berry, Manzanita, Mulberry, Oregon Grape, Organ pipe, Partridgeberry, Passion fruit, Pawpaw, Persimmon, Pin Cherry, Prickly pear, Raspberry, Rose hips, Saguaro cactus, Salal, Serviceberry, Sour Cherry, Squawbush, Strawberry, Sugarbush, Thimbleberry, Toyon, and Wintergreen. Any of the greens and tubers may be prepared by boiling. Collect cattail pollen and mix with flour for pancakes. The best results are with replacing 1/4 and 1/2 of the flour with cattail pollen. This will add nutrition and a bright yellow color to your pancakes. Cattails are in the pollen stage for about 2 weeks to a month. The season starts the end of April in the southern areas of the USA and ends in July in Canada or in high elevations. A good cattail pollen harvester can be made with an empty 3 liter pop bottle by making a 1.5 - 2 inch hole just below the curved part of the bottle on the cap end of the bottle. Put the cap on and insert the pollen laden cattail flower head through the hole you made. Tap the cattail stem to release the pollen into the pop bottle. More pollen will be ready to harvest in a day or two. 2 liter pop bottles work too, but the pollen tends to get stuck in the neck of the bottle when emptying it. After emptying the pollen, sift the fiber and bugs out. Collect about one gallon of clover flowers and let them dry for two weeks (or dry them in the oven at 250 °F for 30 minutes and then let them sit overnight). Once they are dry, grind them to powder using a mortar and pestle to make a fine flour. This will produce about a cup of flour. Mix this half-and-half with wheat flour and make pancakes. Dandelion flower heads can be dipped in batter and fried to make fritters. Elderberry flower heads can be dipped in batter and fried to make fritters. Caution: Plant stems and leaves contain cyanide. Milkweed flowers can also be battered and fried, but they must be dipped in boiling water for one minute first. Black Locust flowers also make excellent fritters. See above for Acorns, Agave, Chicory, Dandelion, Pickerel weed, Pine nuts, Soap root and Yucca. Delicious pies can be made from blackberries or blueberries. Wild cherries are not really large enough for this, but if you find them in quantity, you might make a go of it. Try baking bread by mixing wheat flour with any of the various "wild" flours made from clover, acorn, cattail pollen, or cattail roots. The parts of a milkweed plant that are edible are the leaves, stems, shoots, flowers, and pods. The pods must be collected while they are young, and the flowers are not in season for very long. All are prepared essentially the same way, which is by boiling them in several changes of water. Boiling eliminates the bitter, milky sap from which the milkweed derives its name. Prepare the milkweed by filling a large pot with water and bringing it to a boil. When the water is close to boiling, fill a small pot with water and bring it to a boil as well. When both pots are boiling, place the milkweed in the smaller of the two and let it boil for about a minute. Pour the water off and then refill the small pot from the large pot. You may wish to use a ladle to dip the boiling water from the large pot into the smaller one. You do not want to cover the milkweed with cold water as this will set the bitterness which is mildly poisonous. Boil the second batch of water for a minute also, drain it off, and refill. Subsequent changes of water should remain in the pot for a few minutes. After no fewer than six changes of water, the milkweed should be ready to eat. Add a little butter if desired and prepare to treat your taste buds. See requirement #1 for information on preparing the shoots, buds, flowers, and tubers. This requirement should be removed from the honor as it presents a significant danger of accidental lethal poisoning. I (John Goude) as a teacher about wild edible plants strongly object to this requirement! Is it ethical to teach Pathfinders to eat wild mushrooms being that even experts in mycology have died from eating mushrooms they collected? Where ever I go teaching about wild edible plants I hear heart wrenching stories of whole families that have been wiped out by eating wild mushrooms. Do you want to lead your Pathfinders to be part of one of these stories? The introduction to Poisons Plants of California says "Of all poisonous plants in California, toxic mushrooms cause the most serious illnesses and nearly all the fatalities to humans." Following is a quote from Dr. Peter Gail Ph.D. one of Euell Gibbons literary assistants. "I have spent 55 years as a forager and at least 43 of them teaching others to forage, and I don't do mushrooms other than puffballs. Reason? When I was a wet behind the ears Masters degree student in Plant Systematics at Rancho Santa Ana Botanic Garden in Claremont California, my mycology professor, the very prominent Dr. Richard Benjamin, went out one weekend on a mushroom hunting expedition with one of his buddies, an equally prominent mycologist who was a specialist in mushrooms. On Monday, he was badly shaken, and reported to us at morning coffee break that there had been a mishap--his buddy had eaten a poisonous mushroom and had died from it. "You can imagine the impact THAT had on me. Even the best, most knowledgeable botanists make mistakes. So, with mushrooms, it evidently doesn't matter how much you know. I don't use anything but the Agarics I get at the store and puffballs. There are others which are not mistakable for anything poisonous. Morels vs. false morels are a good example of the problem you can have. I leave mushrooms to other, more adventurous types than myself. There are highly poisonous mushrooms outside of the Amanitas contrary to what this requirement suggests. Boletus satanas, is reported not to kill you but will make you so sick that you think you will die. False morels, (Gyromitra caroliniana, G. esculenta, Helvella spp., Verpa bohemica, Disciotis spp., etc. ), can be fatal. NAMA (North American Mycological Association) poster. Further, mushrooms are no longer classified as plants. Mushrooms are heterotrophic (get their nutrition by digesting or decomposing other organisms). Plants are autotrophic (do not digest or decompose other organisms). Most commercial mushrooms (Agaricus bisporus ) in the USA are grown in manure and straw. The less popular commercial mushrooms (oyster mushrooms, winter mushrooms aka enoki and shiitake) are grown on dead wood. Description: Sulphur shelf (Laetiporus sulphureus) is also known as the chicken of the woods, the chicken mushroom, and the chicken fungus. It is, as one might expect, an edible mushroom with a taste quite similar to lemony chicken. Individual "shelves" range from 2-10 inches across. These shelves are made up of many tiny tubular filaments (hyphae). The mushroom grows in large brackets - some have been found that weigh over 100 pounds (45 kg). It is most commonly found on wounds of trees, mostly oak, though it is also frequently found on yew, cherry wood, sweet chestnut, and willow. Though it does grow off of a living tree, sulphur shelf is not a parasite, though it may cause decay. Young mushrooms are characterized by a moist, rubbery, sulphur-yellow body with bright orange tips. Older mushrooms become pale and brittle, pungent, and are often dotted with termite holes. Use: Slice thinly and add to stews or simmer for 30 minutes. WARNING: About half of the population has an allergic reaction to this type of mushroom, with cases being more pronounced in older mushrooms. Due to all of these factors, the mushroom should generally only be eaten when young, and one should always only try a small amount the first time. Description: Morel mushrooms have a distinctive, sponge-like cap. The cap is heavily and deeply pitted. Where found: Moist woods throughout. Use: Use as a cooked vegetable or sauté in butter. WARNING: When gathering morels, care must be taken to distinguish them from the poisonous false morel (Gyromitra esculenta and others). However, morels are fairly distinctive in appearance. Eating False Morels in quantity can be fatal. Description: Most giant puffballs grow to be 10 to 70 cm in diameter, although occasionally some can reach diameters up to 150 cm and weights of 20 kg. The inside of the mature Giant puffballs is greenish brown, whereas the interior of immature puffballs is white. The large white mushrooms are edible when young. WARNING: Cut the mushroom open before using it, and check for rudimentary gill or stem. The deadly Amanitas looks like a puffball when it is young before its stem grows, but it will have the gills or stem. Also, make sure the interior flesh is pure white rather than yellowish. Description: The genus Amanita contains about 600 species of agarics and contains some of the most toxic known mushrooms, found worldwide. This genus is responsible for 95% of the fatalities resulting from mushroom poisoning, with the death cap accounting for 50% on its own. The most potent toxin present in these mushrooms is alpha-amanitin. 8. Know at least 8 families embracing the poisonous or doubtful plants. Many plants with edible parts also have poisonous parts. The list below, though not exhaustive, features plants with poisonous parts (even though some may also feature edible parts). Never eat any wild plant unless you have positively identified it and know that it is edible. Actually, it's not enough to know that a plant is edible - you also must know what part of the plant is edible, and at what stage of its growth it is edible. 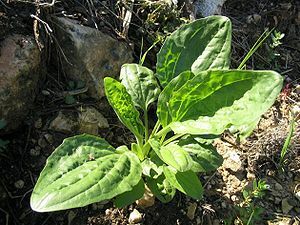 For example, pokeweed (Phytolacca americana) leaves are edible when they are young and cooked in 2 or more changes of water, but the older leaves, stems, and seeds in the berries are all toxic. Also Mayapple (Podophyllum peltatum) are toxic until they are ripe.